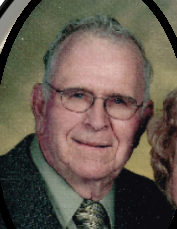 Howard E. Zwick, 83, of Lyons, passed away April 10, 2019 at Hospital District #1 of Rice County, Lyons. He was born June 3, 1935 in Lyons, the son of Harry and Marjory Wolf Zwick. He graduated from Nickerson High School with the class of 1953. Howard was a lifetime Rice County resident. He was a retired farmer and stockman. Howard was a member and past board member of Midland United Church of Christ, Sterling; member of Asbury United Methodist Church, Wichita; and former Nickerson Co-op board member. On June 3, 1955, Howard was united in marriage with Colleen Kay Thode in rural Sterling. They later divorced. In November of 2005, Howard was united in marriage with Pat Chaney in Wichita. She preceded him in death on April 27, 2010. He is also preceded in death by his parents; daughter, Brenda Kay Zwick; and brothers, Keith and Don Zwick. He is survived by his two sons, Craig Zwick and wife Kenneta, and Scott Zwick and wife Jan both of Lyons; two brothers, Alvin Zwick of Hutchinson, KS, and Gary Zwick of rural Sterling; four grandchildren, Anne and Scott Hjetland, Andy and Debbie Zwick, Molly and Dustin Schultz, Kaleb Zwick; and three great-grandchildren, Cooper Hjetland, Rozalin Hjetland, and Adaline Schultz. Funeral service will be 2:00 P.M., Monday, April 15, 2019 at Midland United Church of Christ, Sterling, with Pastor Matt Perkins officiating. Private family burial will be at Sterling Community Cemetery. Visitation will be from 2:00 until 4:00 P.M., Sunday, April 14, 2019 at Birzer Funeral Home, Lyons with family present. Memorials may be given to Hospital District #1 of Rice County, Lyons in care of Birzer Funeral Home, Lyons.